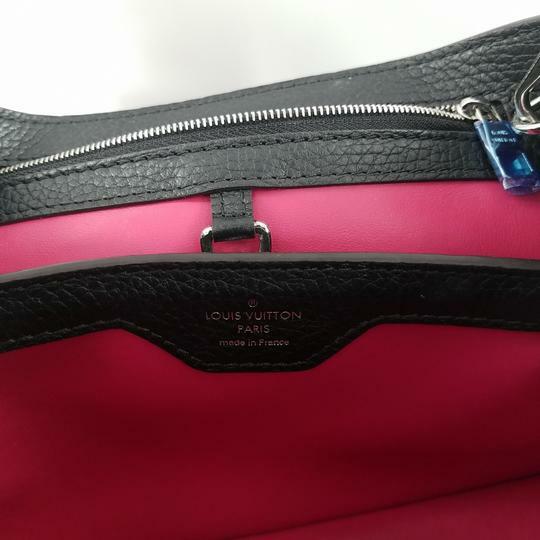 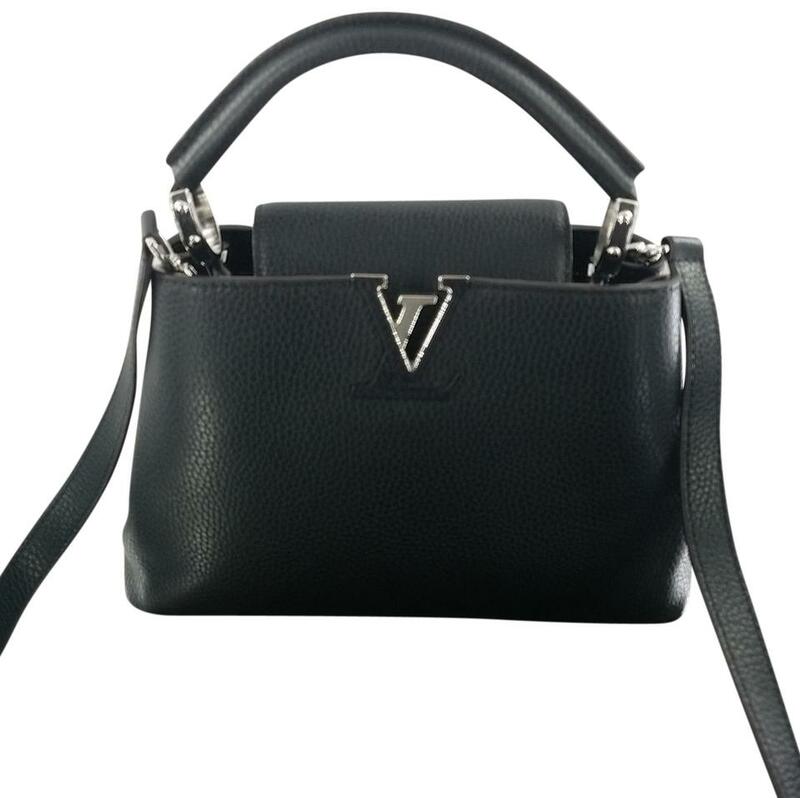 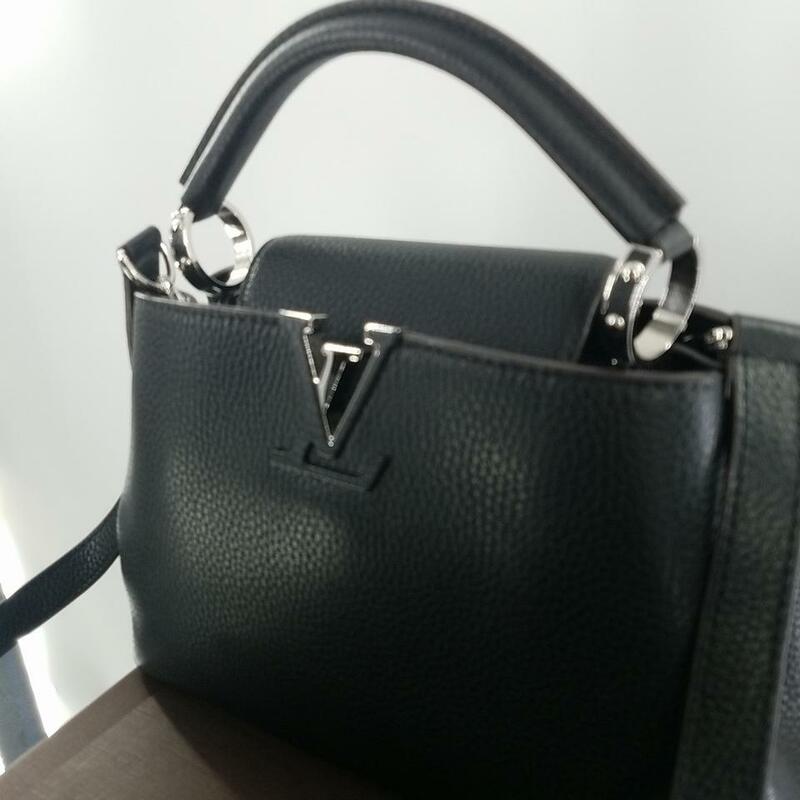 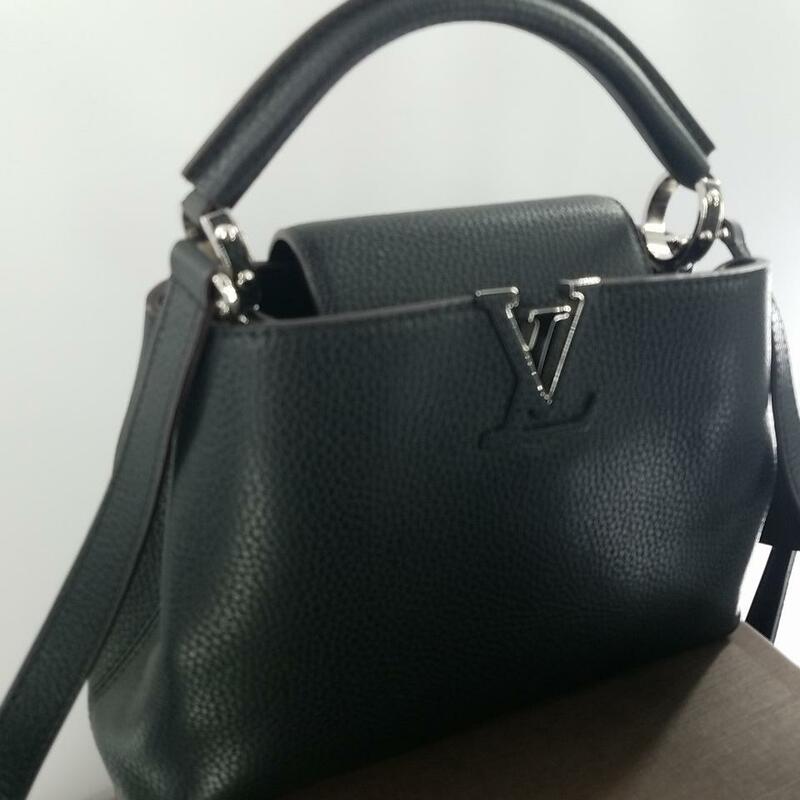 This Louis Vuitton black Capucines BB is in mint condition having not been used before. Made of Taurillon leather and Taurillon leather trim, the ruthenium hardware sparkles! 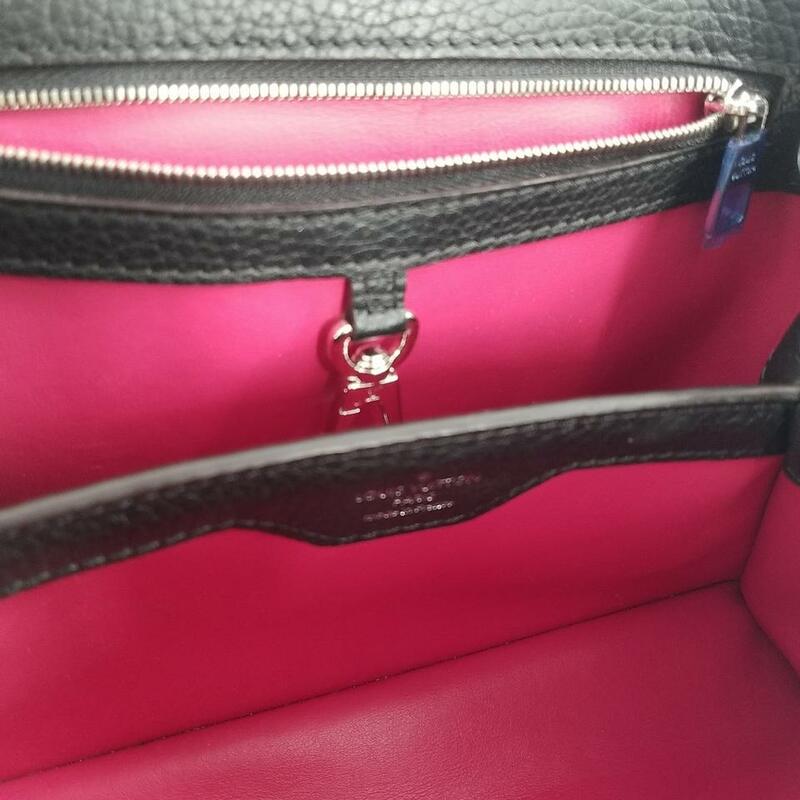 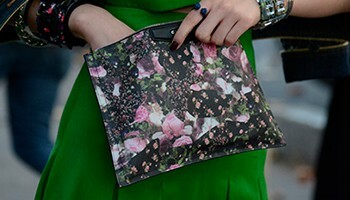 The beautiful fuchsia calf leather lining features two compartments and one zippered pocket. 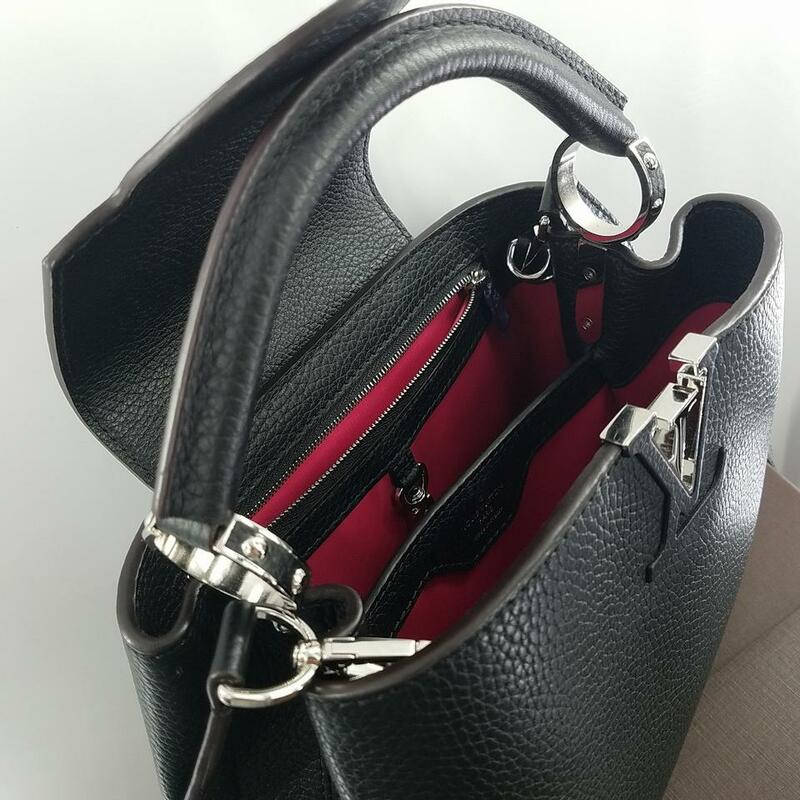 Your belongings can be secured using the snap hook closure. This new classic, designed by Nicolas Ghesquiere, features a partially leather wrapped LV signature that can be displayed or covered by the inside flap. It can be conveniently carried by either the top handle or worn over the shoulder or as a crossbody using the detachable leather strap. 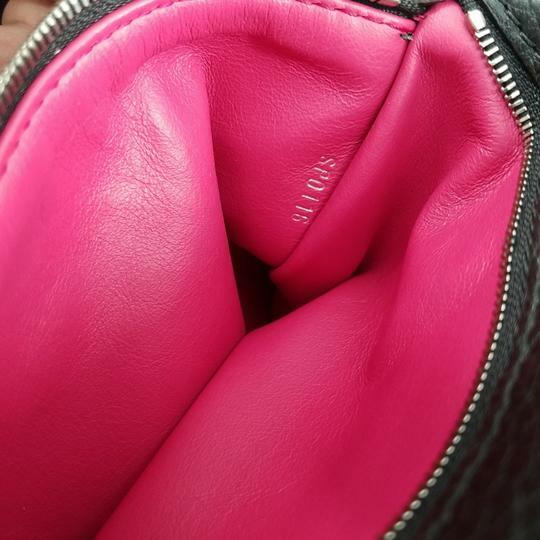 The four protective bottom studs protect the leather on the bottom.